Here at Absolute Hardware, all of the products we stock have been carefully selected with two overarching ambitions in mind: they offer both economy and excellence. 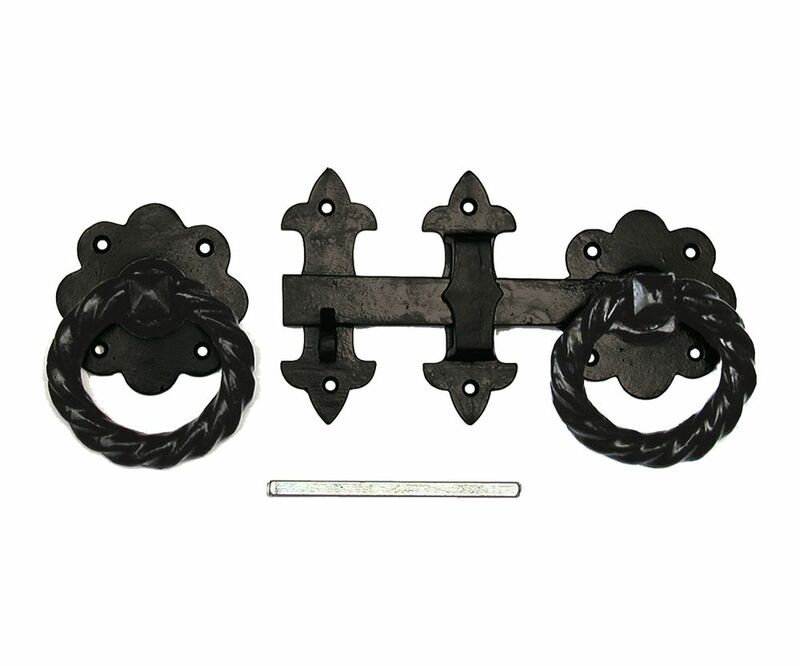 With this heavy-duty twisted ring gate latch, we believe we’ve succeeded in accomplishing this. Attractively crafted in a twisted ring design, the latch is robust, durable, and beautifully wrought in black powder coated metal. Moderately weather resistant, it is best suited to use in sheltered areas, although it is perfectly capable of withstanding occasional exposure to the elements. Opening easily, the metal arm nonetheless sits snugly in the clasp, so that your gate will stay closed until someone physically opens it, making it ideally suited to use in environments where children, pets, or livestock need to be safely contained. With significant savings available for those who buy in bulk, we suggest that you stock up now. Why not add a latch or two to your basket today?